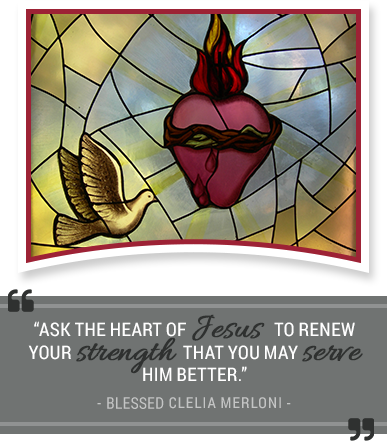 We, Apostles of the Sacred Heart of Jesus, place ourselves in the service of the church and of the people of God. By virtue of our consecration, we are sent in mission. The power and creativity of our missionary zeal flow from living out our charism of profound love for God and for others as envisioned by Mother Clelia.